This was after 8 months and 6 appointments with him where I continually talked about how my fatigue has a HUGE impact on my life, how my fine-motor-control issues are a big deal deal to me, and at the appointment before that last one patted my knee and said “don’t worry, we’ll get this taken care of” when I teared up talking about how it’s difficult to braid my daughter’s hair for her dance competition because of the motor control problems. Clearly he doesn’t get it. I’ve talked about what it’s like to be fatigued all the time on this blog many times. I’ve talked about how NAPS ARE NOT FUN when they are necessary due to fatigue rather than luxury. Fatigue is different than being tired. It doesn’t get better no matter how much you sleep. There’s no amount of “catching up” that will refresh you. You wake up feeling like you need another 10 hours immediately. You feel like you’re going through your day in the same way it feels to walk through thigh-high water – dragging along. It messes with your concentration, your productivity, your mood, your parenting, your personal care, your social life, your marriage, your hobbies. You cannot “push through it” (well, at least not for long – you may be able to in the short term but then you’ll crash). I was pissed off enough and knew that my struggles were real enough that I went to a specialist in my disease that is taking my symptoms seriously. But how many people would just take what he said and move on – thinking that they were exaggerating it, making something out of nothing, or needed to just “buck up” and go on? A lot – I know, because that’s what I did in 2008 when I first complained of fatigue and was sent to a different rheumatologist (“Dr. 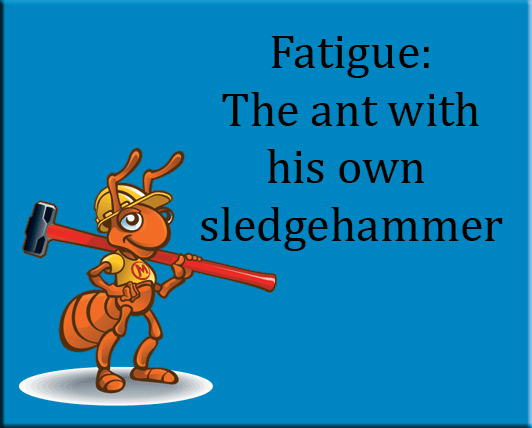 A” as she’s referred to in this blog) and she sent home with no explanation other than “lifestyle fatigue” – meaning I was tired because I was busy. And I let it go. I walked away thinking it was in my head, or I was exaggerating or I was making something out of nothing. It wasn’t until 2011 when I was (incorrectly) diagnosed with RA (for which fatigue is also a symptom) that I began to again consider it as valid and real. For three years I let a doctor brushing off a symptom dictate how I dealt with it. That’s why when it happened with Dr. B I left and sought another doctor, Dr. C. And when Dr. C did it even more blatantly than the other two – he actually laughed and said out loud what the other two were probably thinking in their heads – I left and sought Dr. D.
Dr. C thought treating my Sjogren’s and it’s manifestations (life-altering fatigue, fine motor control issues and inhibiting dryness) with immunosuppresents would be “like trying to kill an ant with a sledgehammer” – but I know that the “ant” of fatigue carries his own sledgehammer that wreaks all kinds of havoc in my life…and maybe he deserves to be fought with a sledgehammer of my own.